Located in the heart of thriving Iskandar Malaysia, Horizon Hills is a 1200-acre integrated township with a gross development value of RM6 billion. It is a low-density residential project that spreads across 11 precincts. It boasts a private 18-hole par 72 designer golf course. A prudent joint venture development between Gamuda Land and UEM Sunrise, Horizon Hills sets a new benchmark for property development in Johor. Horizon Hills is a haven of luxury golf residences. The golf courses which sit at the heart of the development have been crafted on natural, undulating terrain. The topography of the land has been manicured, allowing waterways, the forest reserve and thematic parks to lend to the astonishing panorama. One with nature, the lifestyle here promotes health and relaxation. 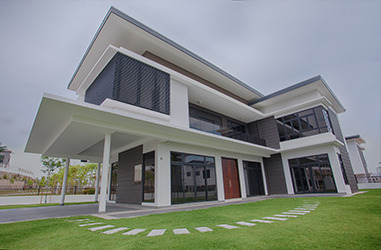 * - HORIZON HILLS LOCATED RIGHT IN THE HEART OF NUSAJAYA AND THE ISKANDAR DEVELOPMENT REGION (IDR), LIES A LIFESTYLE TOWNSHIP TRULY UNLIKE ANY OTHER. * - SURROUNDED BY GOLF COURSE & BOTANICAL NATURES SUCH AS PARKS, LUSH GREEN FIELDS AND MEANDERING WATERWAYS. * - 5 TO 10 MINUTES AWAY FROM AEON, TESCO AND GIANT BUKIT INDAH, PUTERI HARBOUR, LEGOLAND, KOTA ISKANDAR AND EDUCITY. PLEASE CALL KP LOH @ 012-3632728 FOR MORE DETAILS AND VIEWING ARRANGMENT.